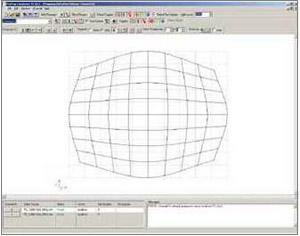 Equipe ProMap TM applies advanced digital filtering techniques to eliminate aliasing effects that can be caused by mapping pixels to a new position. Where two images overlap, a blend region is defined where one projector fades out as another fades in. Using digital techniques this blend region is almost imperceptible to the observer as the correct proportion from each projector is precisely calculated. ProMap TM Composer, a powerful GUI, allows complete control of mapping, blending and hot-spot compensation using a WYSIWYG editing environment.